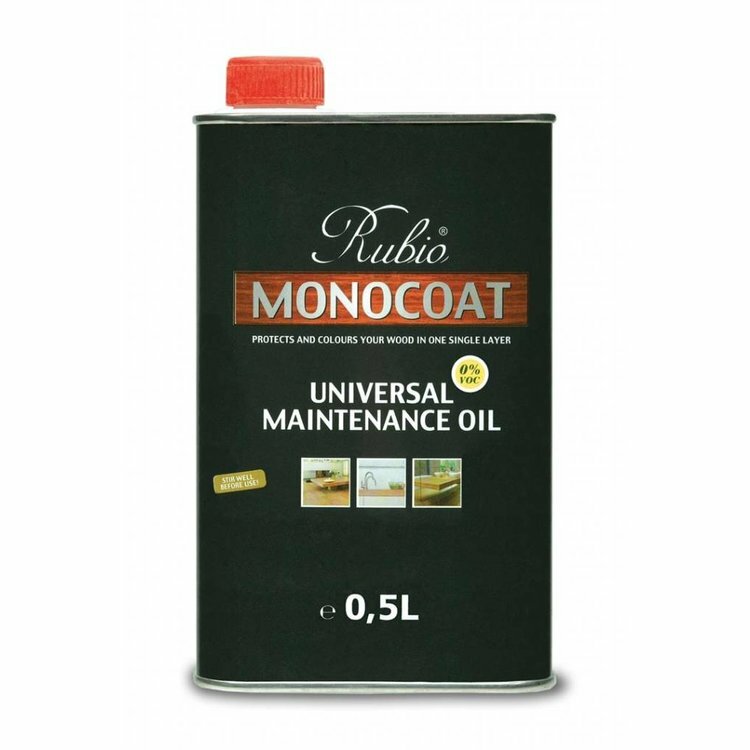 Rubio Monocoat Universal Maintenance Oil is used for protecting and refreshing the color of oil finished wood surfaces. 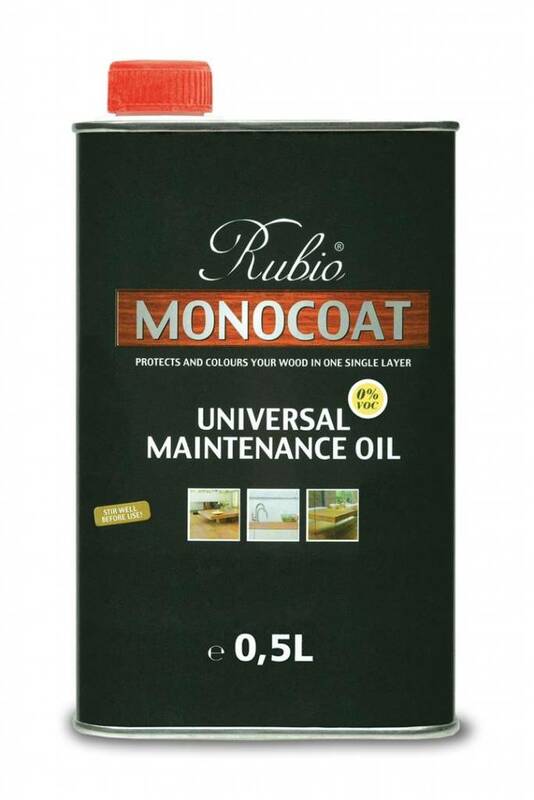 It works on Rubio Monocoat products, but is not strictly limited to them. Universal Maintenance Oil will also give a slight increase in the sheen level. Maintenance frequency will depend on the intensity of traffic on the floor. It is advisable to apply this treatment before the color fades. If the color has faded, renovate using the original Oil Plus 2C color. Once fully cured surfaces with Oil Plus 2C can be cleaned with Rubio Monocoat Surface Care Spray.